This website provides botanical information on one of world’s biodiversity hotspots, the cerrado biome of Brazil. It gives a brief introduction to the distribution, biodiversity, ecology and history of botanical research in the biome and gives some references to important reading. Its greatest value, however, is in making available a comprehensive woody floristic dataset for the biome. A database generated from this dataset can be searched from this website to generate species distribution maps and woody species lists for prescribed geographical regions within the cerrado biome (Site or State), or the dataset itself can be downloaded for independent analysis. The database contains an image library and information on common names, ecology and uses where known. Images used on the website have been provided courtesy of the Royal Botanic Garden Edinburgh, Royal Botanic Gardens Kew and Programa Flora Cristalino. Individual photographers are credited next to their photos. It is advised that the accompanying research paper, first published in 2003 in the Edinburgh Journal of Botany and updated and expanded here, is read before the database is consulted or downloaded. It describes patterns of diversity within the cerrado and provides information on the project that produced the floristic dataset, its analysis to date, and the methods of its construction. 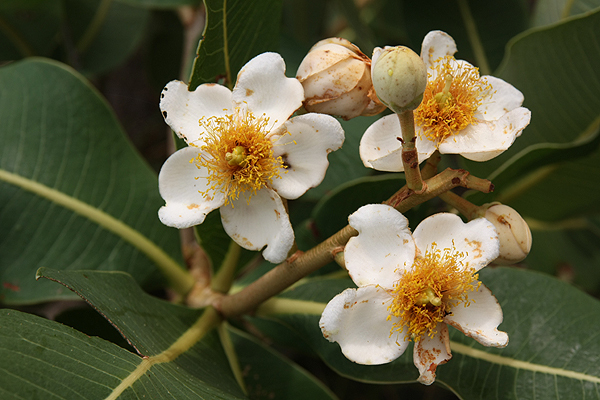 The image that makes up the backdrop to the homepage title shows the flowers of Tabebuia ochracea. Copyright Sam Bridgewater. Courtesy of the Royal Botanic Garden Edinburgh. 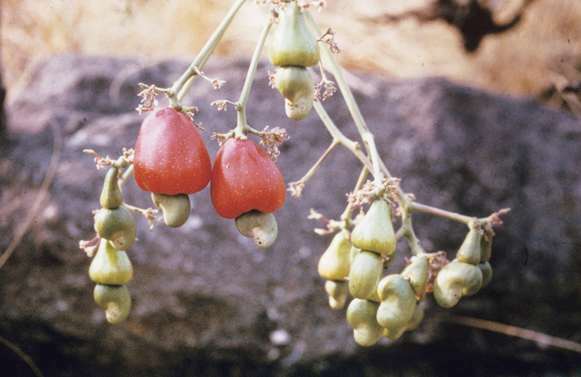 The cashew tree (Anacardium occidentale) is a native of the cerrado. Copyright Jim Ratter. Courtesy of the Royal Botanic Garden Edinburgh. 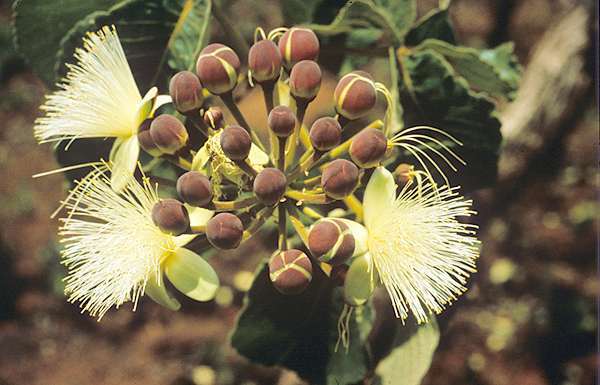 Flowers of the piqui (Caryocar brasiliense). 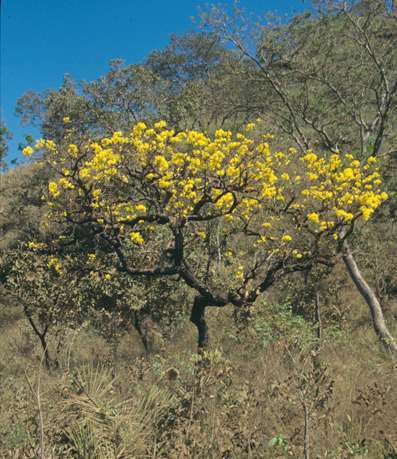 This tree is common across much of the cerrado. Copyright Jim Ratter. Courtesy of the Royal Botanic Garden Edinburgh. 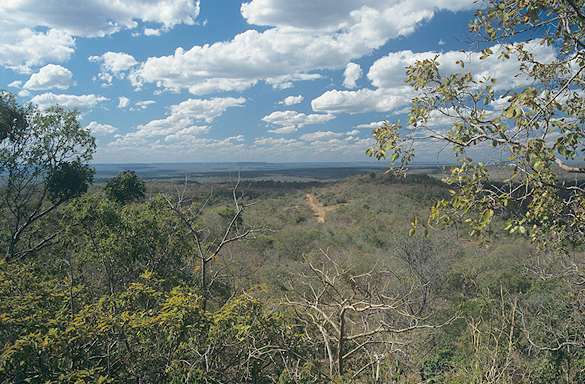 View across the cerrado landscape in Piauí. Copyright Sam Bridgewater. Courtesy of the Royal Botanic Garden Edinburgh.